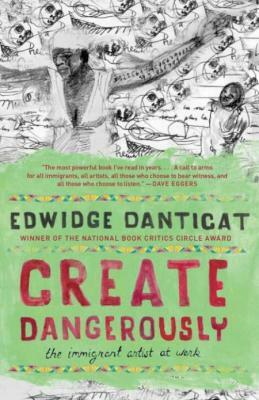 Inspired by Albert Camus and adapted from her own lectures for Princeton University’s Toni Morrison Lecture Series, here Danticat tells stories of artists who create despite (or because of) the horrors that drove them from their homelands. Combining memoir and essay, these moving and eloquent pieces examine what it means to be an artist from a country in crisis. Edwidge Danticat is the author of numerous books, including Claire of the Sea Light, a New York Times notable book; Brother, I'm Dying, a National Book Critics Circle Award winner and National Book Award finalist; Breath, Eyes, Memory, an Oprah Book Club selection; Krik? Krak!, a National Book Award finalist; The Farming of Bones, an American Book Award winner; and The Dew Breaker, a PEN/Faulkner Award finalist and winner of the inaugural Story Prize. The recipient of a MacArthur Fellowship, she has been published in The New Yorker, The New York Times, and elsewhere. She lives in Miami.